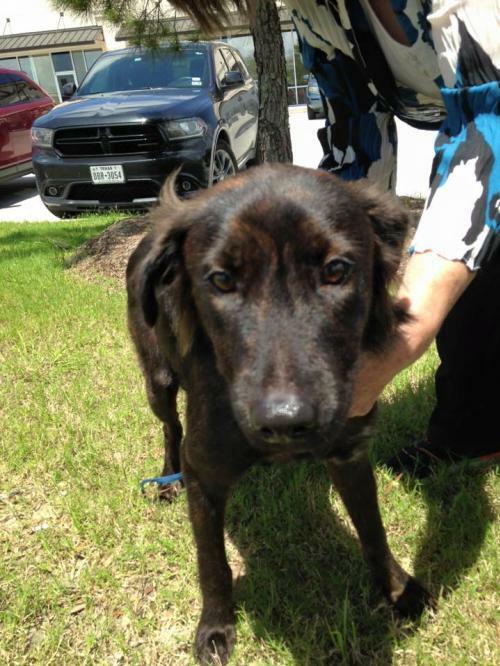 Lucas Labrador Retriever/Hound mix is a sweet pup that is full of energy and needs a good amount of exercise. He also is an excellent guard dog. Lucas lives in a foster home now with other dogs, children and adults. He is peaceful with all. He enjoys playing with balls, toys, water and loves his walks and car rides. Jesse will make a very dependable family dog with his cheerful nature. He really needs a forever home! Come visit with this very affectionate pup! He is hoping you will. In the canine heart there is always hope. Please lets find him a loving home! 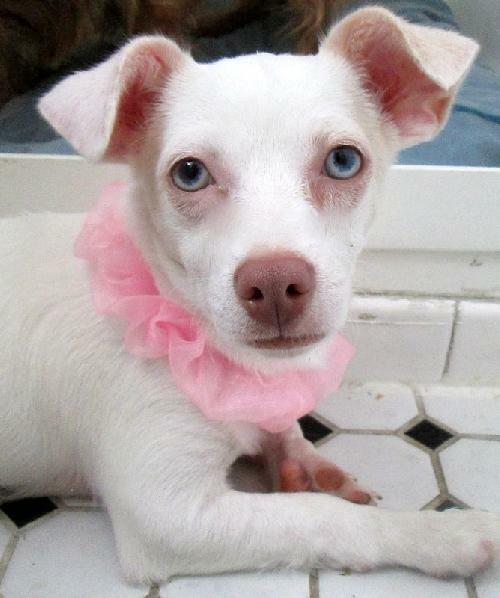 Bonnie Blue is a 8 month female White Purebred Chihuahua with sparkling blue eyes. She is 8 lbs of pure sweetness. Don't be fooled though as she is a pure puppy at heart and loves to race around the house and do zoomies and create havoc. She has happy go lucky energy and loves to play all day esp with my big foster sister pitbull. She is super energetic and mts go with another dog to expend my energy otherwise I will become destructive. She does her business on wee wee pads but still learning to walk on a leash as she is terrified to go outside. She knows sit but still needs obedience training. Because she is so nibbly and chewy, no small children but she is okay with cats. She needs someone who understands my breed and has another similar small or large young dog that needs a playmate. Please lets find her a great home! 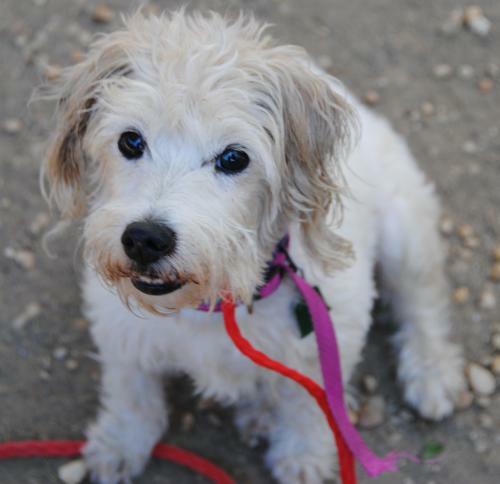 Daphne is a a Terrier mix, 7 yrs old, 10 lbs.who was found as a stray. She is friendly girl who gets along with just about everyone. She's good with other dogs and cats. She's a trifle nervous from time to time, so we think she shouldn't live in a home with younger children who might startle her. Daphne has been playing with the other dogs in our playgroups and she's just a treat to watch her learning to relax and enjoy herself. Please lets find her a good home! Cujo is a young, beautiful Australian Shepard mix more terrified than terrifying. He is currently in a home that keeps him outside and he just had to be treated for a hundred and one fleas. His fur has been falling out due to flea dermatitis. He needs a foster or forever home that will look at his wonderful personality and help his outside look as good as his inside. Please lets find him a loving home!